Every time I travel to another country, I get frustrated about our ability to use what is local and to enjoy what is seasonal. In many ways, Oslo was no different. One morning we headed down to the harbour at 7am to buy fish fresh off the boats as they came in. There was a small queue of people chatting to the fishermen, while sorting through the night’s catch. Down in Gloucestershire we couldn’t live further from the sea, and I desperately wish we had better access to fish as fresh as this. For us, who buy our fish in such a sanitized environment, it felt good to be able to pick and buy our fish this way. We bought two kilos of prawns, (cooked on the boat minutes after they are caught), cod – very popular in Norway – and pollock. 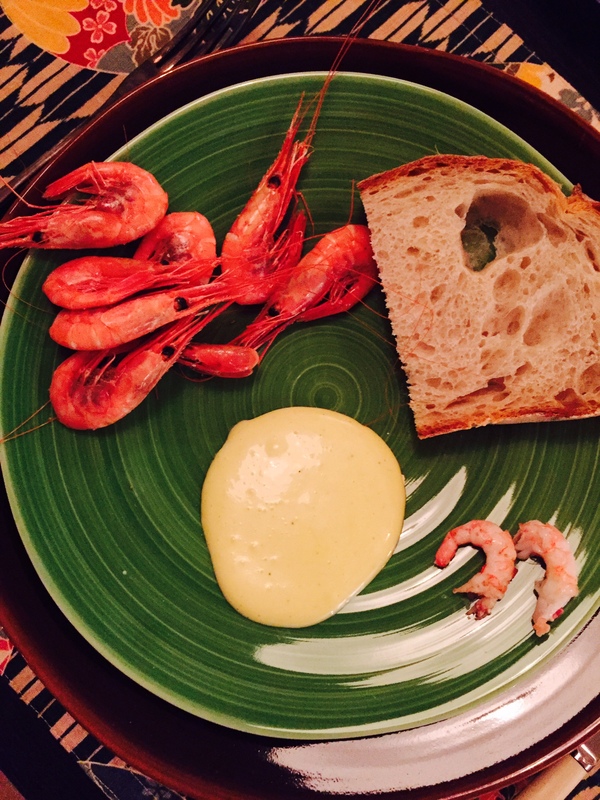 Later that day, back at the house, the four of us shared the entire haul of prawns, with home-made ailoi and bread from their local bakery, each of us frantically shelling our prawns to make sure we didn’t miss out. I think if I lived in Oslo, I could nearly bear to get up every morning for prawns as fresh and tasty as those. Plus, the light at that time of the morning was like nothing you get in England, the weak sun wasn’t up yet, but there was a subtle blue haze to everything, and because it was still snowing, that quiet calm all around. 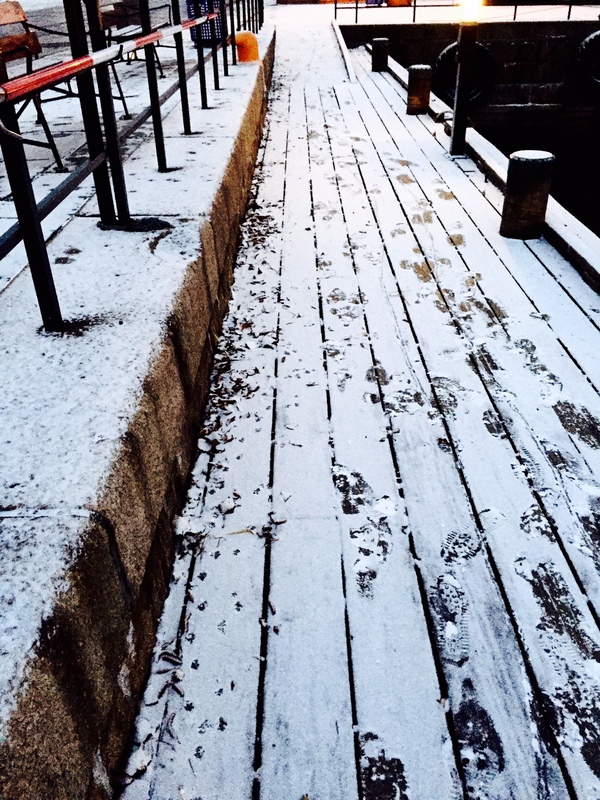 My footprints in the snow felt like something from another time (we haven’t seen snow down here for over two years and I miss it), and the white coating on the boats seemed other worldly. Later that day, we went in search of some of Oslo’s renowned ‘sort kaffe’ – black coffee, roasted extremely lightly, meaning the pungent, sweet, earthy flavour of the beans really comes through. Instead of just one type of coffee, there is always a menu of several types, and the staff regale the flavours as if they’re discussing wine. 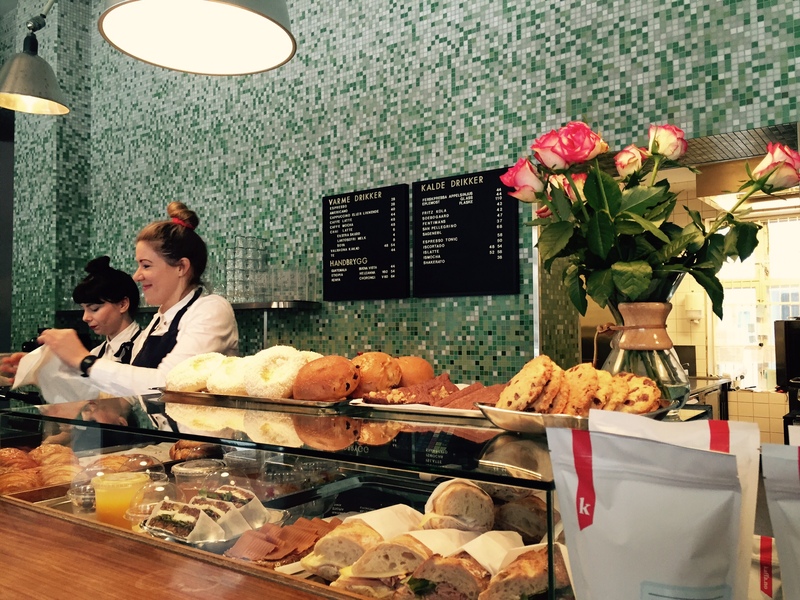 We loved Java – whose jolly staff welcomed us in from the snow and took us through the menu. 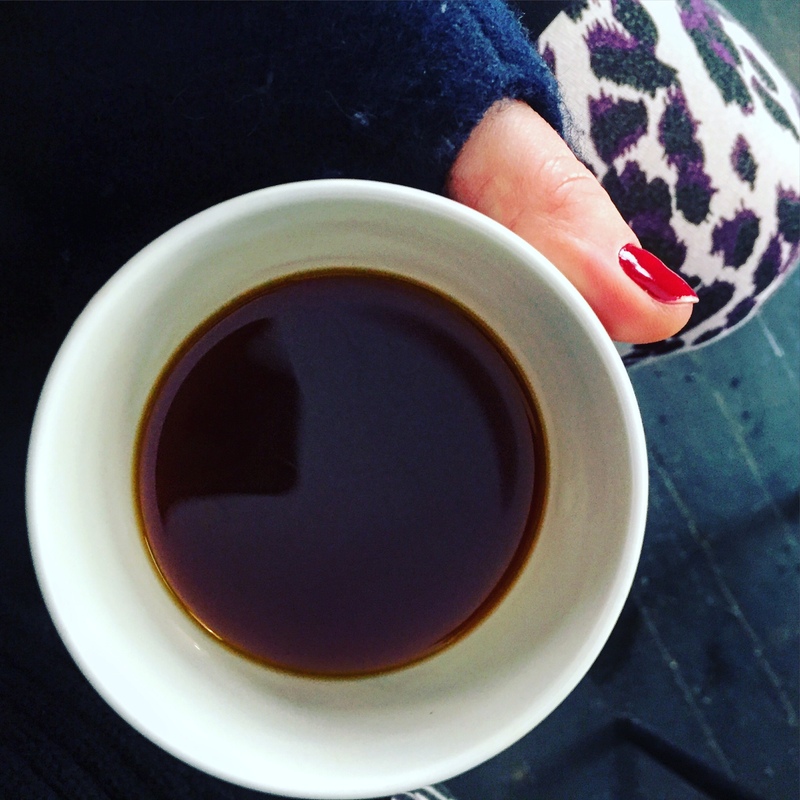 My Kenyan coffee, with jammy fruit flavours was gorgeously light but pungent, while R had a Colombian blend that was much more fermented and musky in flavour. Both divine. From here we walked down through the Oslo streets, marvelling at the colours and the simplicity of it all, before heading over to Tim Wendelboe, the absolute king of the Oslo coffee scene, his approach to lightly roasting beans has seen him win World Barista more than once, and his tiny coffee shop in the trendy Grünerløkka area (ie Shoreditch) was a fantastically calm and coffee-filled space to escape the cold. 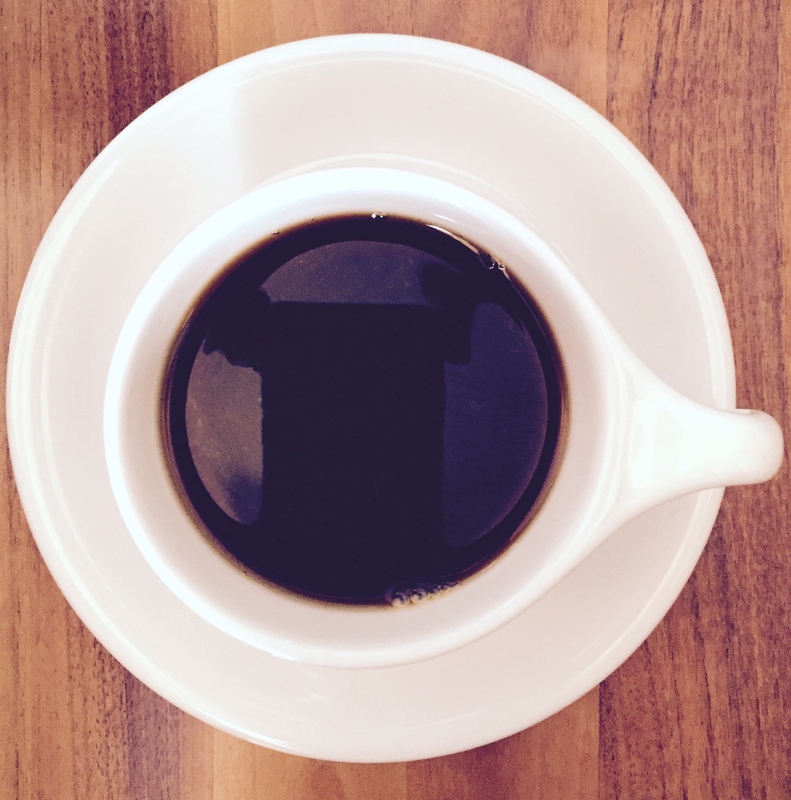 R had an espresso here – stronger than anything he’s ever had – while my Ethopian coffee’s tasting notes promised sweet, nutty overtones with a woody note throughout – it didn’t disappoint. Eating out in Oslo is notoriously expensive, but if you’re careful and selective it can be worth it. 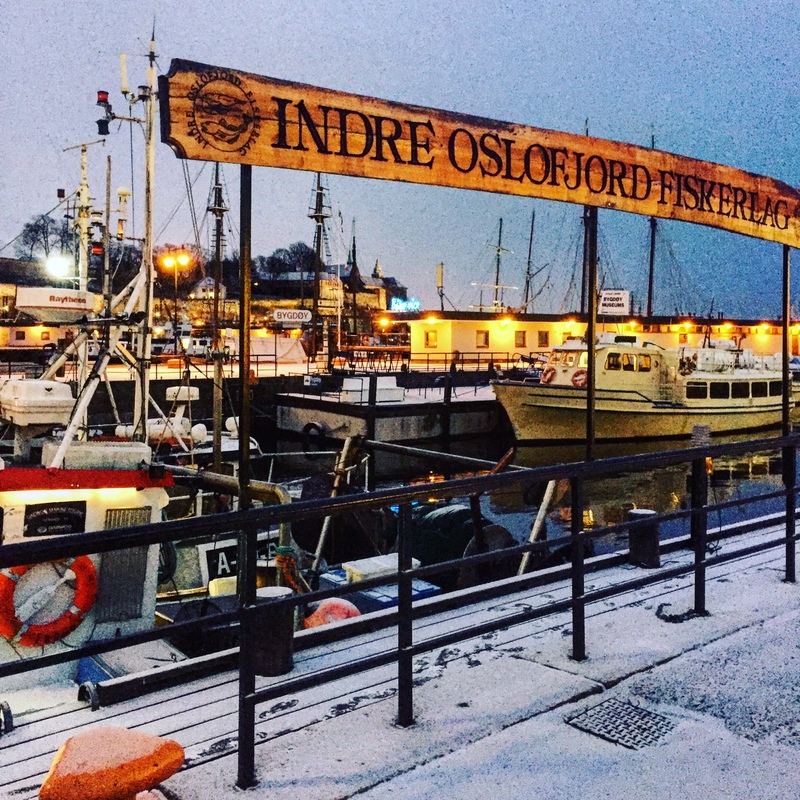 One day, we stopped on the harbour – brygge – for an open prawn sandwich, (get the local North Sea prawns or shrimp, not the Atlantic prawns), which we munched happily, sitting outside, warmed by powerful heaters and thick blankets, sipping wine and people-watching the locals along the harbour. On our first evening we went to a local restaurant, St Lars, which had a fun, bistro feel – staff were incredibly friendly and the meat-heavy menu interesting enough to have us pouring over it for half an hour. 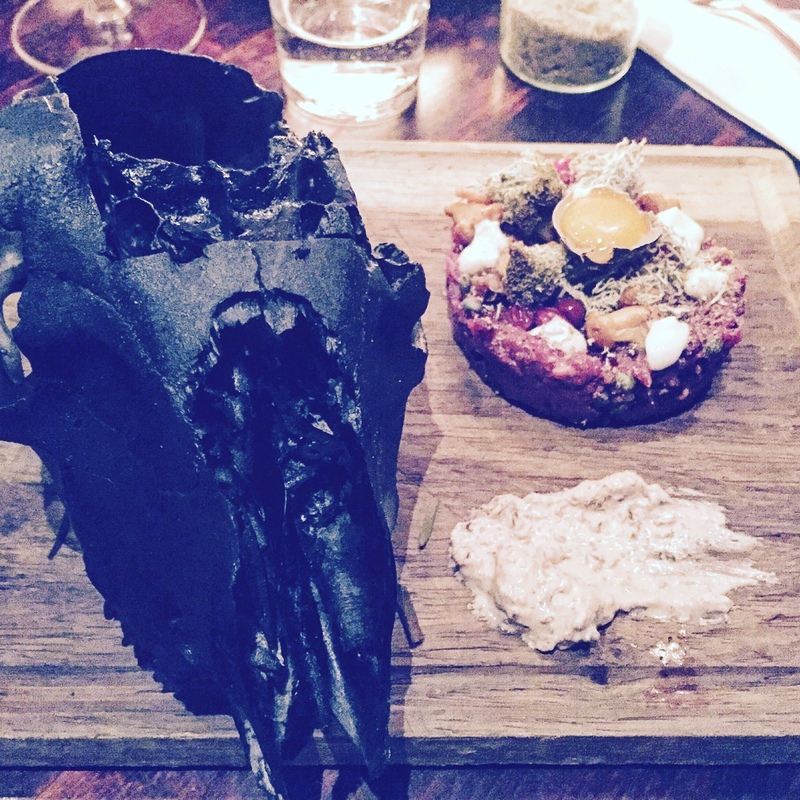 Pigs snout and ears (pork crackling), some thinly cut cured ham, and a onion soup cooked for 36 hours were all impressive – but it was the deer tartare with raw quails egg, silver moss and a still-smoking deer’s skull that was particularly special. 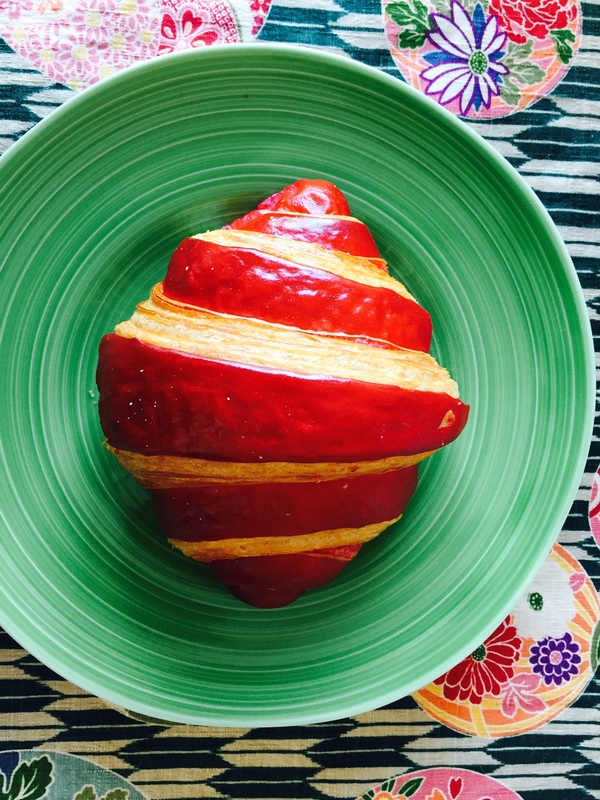 The local bakery, Apent Bakeri, renowned for its bread and pastries had made special raspberry-filled croissants, while the signature Oslo cinnamon bun with a hint of cardomom was delicious, washed down with even more coffee. Despite the cold weather and the issues the country has with getting fresh produce, (vegetables are mostly winter greens and potatoes), I felt that we ate really well in Oslo. Everything was fresh, relatively healthy, hearty, wholesome, and mostly – where it could be – local. I’m sure it helped that my sister’s husband is a bloody great chef, so we ate well at home too – but I very much felt – like I always do when I visit a country that’s not England – that we were just more connected with what was simple Norweigan food, less fuss and more focus on local produce. We have much to learn here.